There was a time when the phrase “I just got a great deal on a used car” was code for “I think he just got suckered into buying a clunker.” That’s no longer the case. Nowadays, cheap used cars can be found anywhere and everywhere. The best ways to find an inexpensive used car is by going online, visiting a used car lot, or purchasing a car from a private party. Occasionally, you might even be able to find a bargain at a dealership if you happen to show up at the right time. Step 1: Establish your budget. Before you begin your search, spend some time online to get an idea of how much your “ideal” car might cost. Based on this information you can establish a budget. Step 2: List your preferences. Make a list of criteria that you’d ideally like to have in a used car. Examples might be: a single owner, no reported accidents, mileage limits, service records, and no rust. Step 1: Examine the vehicle thoroughly. Look at how the side panels line up with the hood, and how the side panels line up with the trunk. If everything looks smooth (meaning the hood or trunk aren’t elevated or sitting below the side panels and there aren’t any visible irregularities) it’s a reasonable bet that the car hasn’t been in a major accident. Step 2: Inspect the tires. Do they have plenty of tread left? 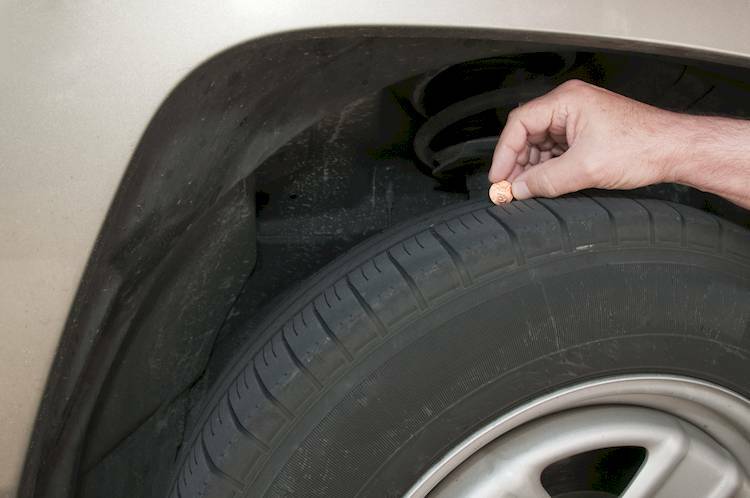 Use the penny rule - stick a penny into the tire grooves, and if you can see the top of Lincoln’s head, the tires should be replaced. Step 3: Inspect the interior and utilities. Hop inside and test the headlights (high beam as well as low beam), horn, turn signals, air conditioning and heater, cabin lights, power seats/windows, and sunroof. Check the areas under the sunroof. Are there signs of moisture? If yes, that could mean the sunroof leaks. 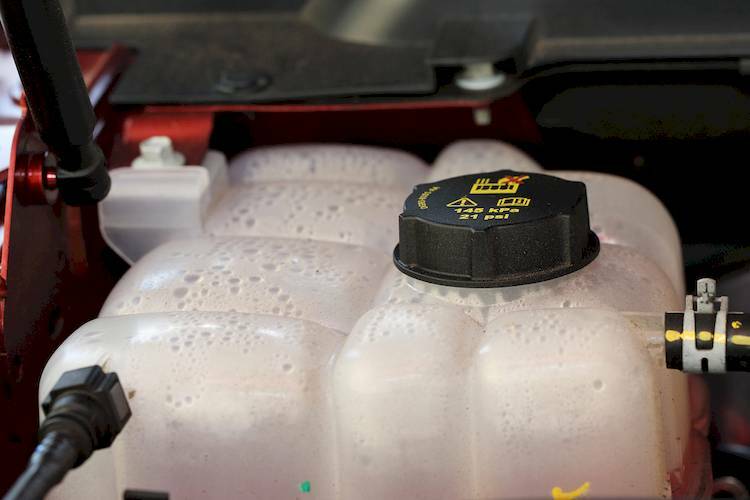 Step 4: Check the fluids. Is the oil clean? Does the car have coolant, and windshield wiper fluid? Are any of the fluids leaking? If all of these things are positive, the car has likely been well taken care of. Step 5: Look for any external damage. Walk around the car. Look for dings that seem unusually large. Is there any paint that is either cracked or missing? Step 1: Test the cars performance. Pay attention to how smoothly the car accelerates from a standing start, and how responsive it is when you hit the gas. Step 2: Check the alignment. Take your hands off the wheel (as it’s moving) to see if the car pulls to the left or right. If it does, you’ll probably need to fix the alignment. Step 3: Examine the gauges. Make sure the gauges work. Step 4: Test the gears. If you’re test-driving a manual transmission, take note of how smoothly the car shifts from one gear to the next. You should also downshift into some curves to see how the car responds. Step 5: Research the vehicle's history. If you like the car, and think it might be the one for you, run a Vehicle Identification Number check to track previous owners of the car, and repair records. VIN checks are free via the National Insurance Crime Bureau, or the Department of Motor Vehicles. Step 1: Be familiar with the specifics. If you’re buying from a private party, enter into your negotiation armed with information gathered from Kelley Blue Book and Edmunds. Know the wholesale and retail price of the car based on the car’s condition, and mileage. Step 2: Negotiate on a fair price. Your first offer should be low - close to wholesale. The owner of the car is likely to ask for a high price - close to retail. Because neither of you is an expert car negotiator, you’ll probably meet in the middle fairly quickly. Step 3: Consult with a salesperson wisely. If you’re negotiating with a salesperson from a used car dealership, expect your negotiation to be longer and more cumbersome. 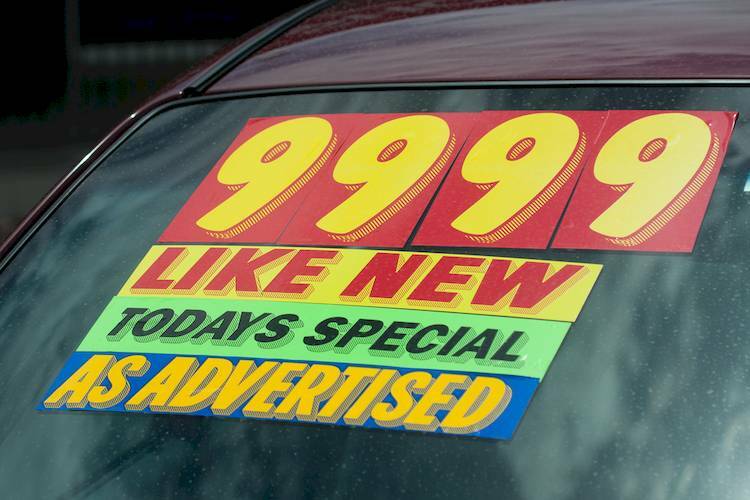 A used car salesperson will likely try to get a bit more than retail for the car. Your opening bid will be much lower. That’s where the negotiation begins. A word to the wise – be prepared to walk away if you don’t get the price you want. Step 5: Consider your payment plan. Be prepared to pay cash if buying from a private party. A dealership might offer financing. Step 1: Complete a Bill of Sale. This document is used to record the sale of the car. The form can be downloaded from dmv.org. Once completed, the form can be filed online with the DMV. Step 2: File the liability form. File a “Notice of transfer and release of liability” form, which indemnifies the current owner from future liability. This form can be downloaded at dmv.org. Step 3: Sign the ownership certificate. Sign the Certificate of Ownership to the buyer. If the seller has lost the original certificate of title you can go to the DMV website, and download the Application for Duplicate or Paperless Title form. Step 4: Get a copy of the registration. The buyer can register the car on his own, but it’s a good idea for the seller to have a copy as well. It might be a good idea for both parties to go to the DMV office they can each get a copy of the new registration. Step 5: Check the smog test. Depending on where you live, the seller may need to provide the buyer with up-to-date smog inspection reports. The most recent smog inspection report is necessary to register the car. Step 6: File the odometer disclosure form. Federal and state laws require filing an odometer disclosure form at the time of sale. Odometer disclosure forms for all states can be found on this page of the DMV website. Step 7: File the Statement of Facts form. Some states may require the new owner to complete and file a Statement of Facts form. Step 8: File the tax and fees. File tax and fee forms if applicable. Finding a great, inexpensive used car takes effort and hard work but is a rewarding experience. If you want a second opinion when you’re checking out a potential car or if you feel unsure of your observations, YourMechanic offers a 150-point inspection of used cars, and can provide you with an evaluation of the vehicle. Q: How do I break in my new car?